Never thought I would be this far along yet, but the final kit I will be getting from Vans came by truck today, 01/05/2012. Not a real big crate but they sure can pack the stuff in there. Really looking forward to getting started on this part of the construction. Have not had a chance to do inventory but will start this weekend. For the pitot tube, I chose not to utilize the factor option and instead purchased a heated pito tube manufactured by Angus Aviation, the Gretz Pitot. Starting out this section is to determin the location for the pitot tube. I chose to use the bay just outward of the inspection access plate on the bottom side of the wing. You need to plan this installation a bit because you want to be able to remove the pitot if needed and also get at the electrical connections and tubing connections. This pitot comes with a control board and it must be within a certain distance of the pitot, the wires that come from the pitot and attach to the control board cannot be lengthened. I chose to put in on the outboad rib just inside of the inspection plate. The process starts with fabricating a aluminum angle that will be attached to the wing rib, the will have holes match drilled into the bottom that will go through the mounting plate and the bottom wing skin. When riveting to the wing rib, make sure that you offset it up enough for the mounting plate to be mounted on top as so the bottom wing skin does not bulge out. Angle is made and riveted. Next is to get the mounting plate marked for the placement of rivet holes holding the backing plate to the skin. I used the wing spar to get the main holes drilled and then clecoed that to the skin and drilled the rest of the holes through the skin and mounting plate using the template that was included. Also marked and drilled the #8 holes for attaching the mounting plate and the pitot tube mounting bracket. Once everything was marked and drilled, I cleaned, deburred and prepped, all parts were primed. 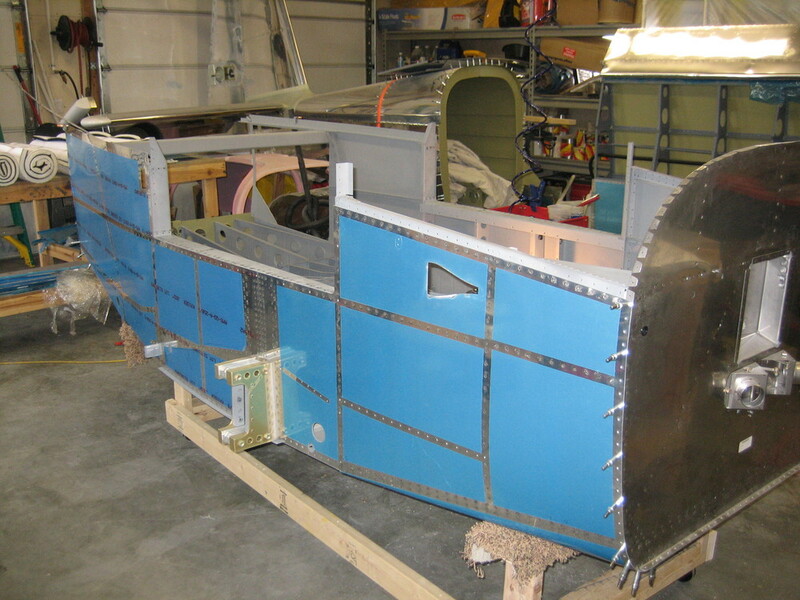 The items in this section will be riveted on when final riveting is done to the bottom wing skins. Finished mounting the control board and running the wires to the wing root through the conduit in addtion to a #14 black and a red wire for power and ground were also run to the wing root. The wring was then connected to the control board per the instructions. Ran the pitot line from the wing root through the wing ribs to where the pitot will be installed leaving enough extra for a service loop. 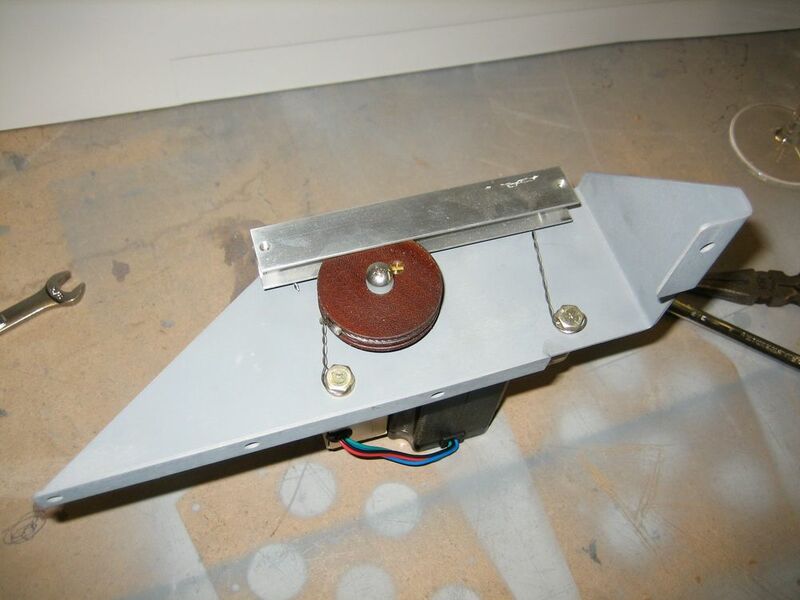 Everything has been attached and riveted for the mounting bracket and the bottom wing skins. The rest of the pitot tube will be installed and connected when the wings are attached.